Saturday again. This time not so lazy. Slept late last night about 12am, baby was practising his martial arts combat inside my belly. I was so tired that I just dozed off and only woke up at about 11am. Missed breakfast time. We always love to add egg hehe... But this uncle will season the egg and the noodle evenly with enough "pepper powder"before serving to the customers. He really looks like he put his whole effort into making this dish a great dish to eat. Sometimes he looks grumpy (when he don't smile) but when he smiles, it really melts your heart. There's also the waxed sausage included in this meal too. It costs about RM7+ each meal. But today and like all other weekends, this stall has a looooooong queue of plates. My hubby wanted to order from him but uncle said need to wait very long. 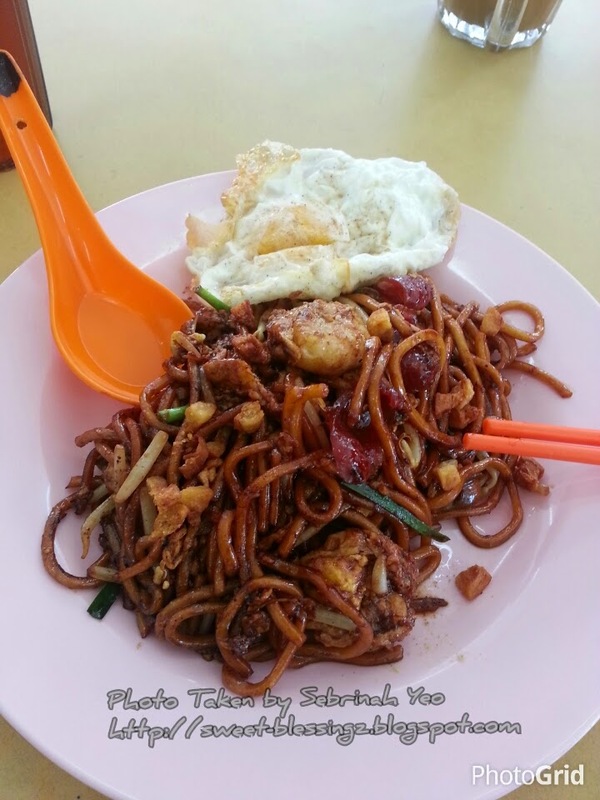 So hubby decided to order the same as me, Sabah Tuaran Mee. New stall just opened not too long ago. 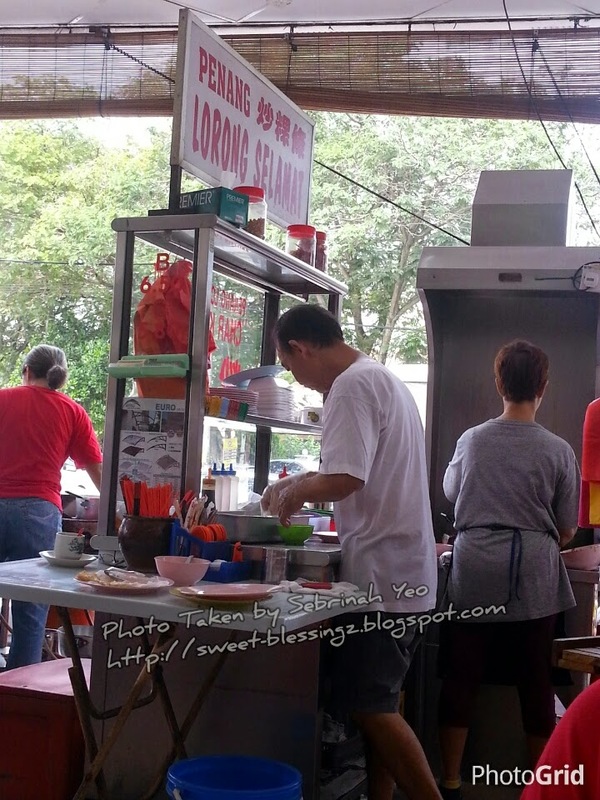 This stall caught my attention the first time last week, because it sells only 1 type of mee (either Big or Small). I wasn't feeling well that time so I didn't manage to eat this, but my hubby did last week. 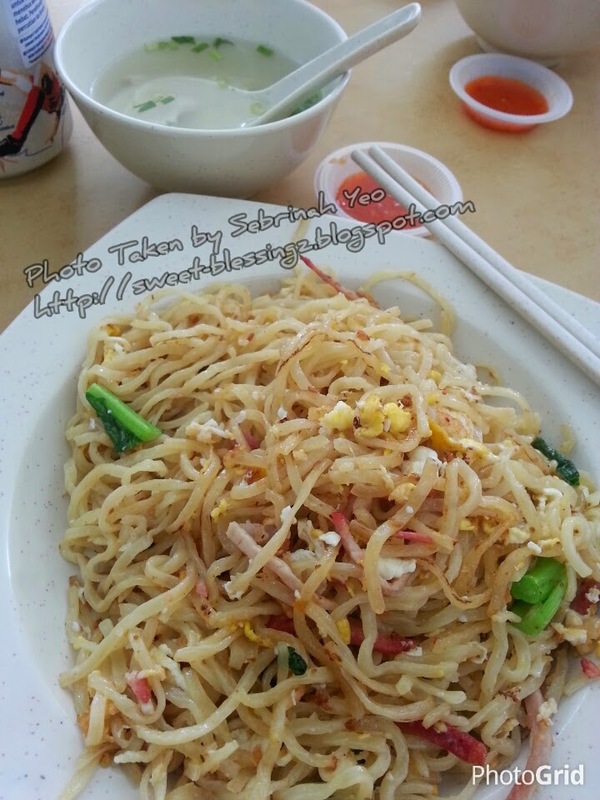 So this time I ordered this for myself (Big) "Sabah Tuaran Mee". But it's not spicy, not too oily. It's noodles boiled in water/soup and then fried with veggie, sliced pork char siews and scrambled eggs. The sauce? I have no idea because you can't see any sauce leftover at the bottom of the plate. It's really a unique meal, and the egg really brings wonders. Sometimes I feel like I'm eating fried indomee without the "brown sauce seasoning" but coated with the aroma of the eggs. Well done, this is one of the most famous mee in Sabah called Tuaran Mee, originally from a small town about 20km away from Kota Kinabalu. It is not surprising that this mee is not famous in West Malaysia here because so far there are not many people from Sabah selling this mee in KL, it is a good news by the way especially for Sabahan who is working in KL/ Selangor, they will miss this food badly every time come back to KL from Sabah. And I tried this tuaran mee too in USJ 14, what I can say is their mee is up to standard and they are able to achieve Sabah standard, excellent!